In this online edition of the CHIRIQUI LIBRE news magazine we have four articles. Alone on a desert island. Just scroll down for the various articles. The adventure seemed like it would be straightforward and I would have great material for an article. Lack of preparation and I will admit my own bad planning turned this into something far more serious – and yes at times, potentially life threatening. The plan was simple. 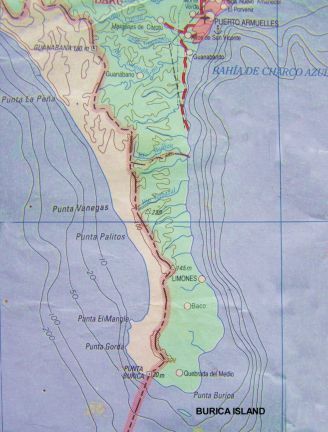 A friend, Jason Ward, would drop me off on Burica island at the tip of Punta Burica in Chirqui. 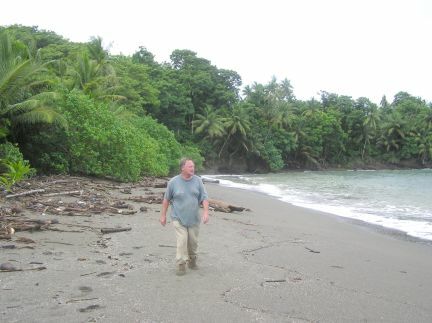 This is the farthest point west in Panama and closely borders Costa Rica. There are large sharks in the waters and recently, locals report seeing a 12 foot crocodile close to shore. Several sources tell me of drugs being regularly off loaded onto local beaches. Colombians are now working closely with the Mexican cartels and the deserted Burica Pennisular is a perfect spot for this. 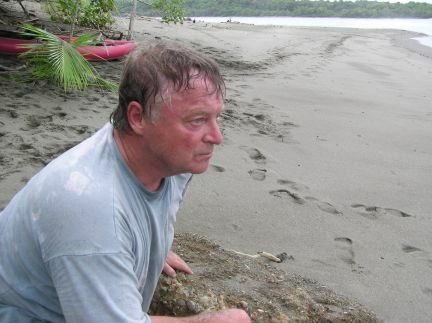 So why would I, a 64 year old semi-retired writer want to brave the weather and dangers of this sparsely inhabited part of Panama? Crazy like a fox sums it up well. I had matches, paper to start a fire, water, plenty of food, a machete and lastly a 10x14 foot plastic tarpaulin. The all-important ingredients of canned beans, sausages, a liter of red wine and six beers I placed in cooler. I had a tripod for my camera and yes, I actually read the manual so I could take pictures of myself during this great adventure. With all this preparation what could possibly go wrong? It was Thursday September 4th, 2008 3:30 in the afternoon as we approached Burica island. Jason Ward offered to take me to the island in his 23 foot panga. Jason was familiar with these waters and said because of the rocks he couldn’t get me to the beach and that I would have to load everything into his inflatable kayak and paddle through the surf the quarter mile to shore. With no life jacket and the weight of a full cooler adding to the imbalance, I felt concerned, but load up and sail off. I did. I soon realised that I was not in the best physical shape for this. I had to stop three or four times to catch my breath. I headed for a sand bar at the northern end of the island. This, I thought would be the only spot safe enough to beach without tipping over the cooler and its precious contents. As the surf crashed over the stern of the kayak my concern started to mount. Breathless, and in a mild state of panic I paddled furiously for the sandbar. As the kayak grounded safely and firmly on the gray-brown sand, I heaved a sigh of relief. While I was still getting my breath back after my Olympic size paddle, I dug out my cell phone and tried to call my wife. After three tries and getting a “No service available” message, it dawned on me, I really was alone. If I had a heart attack, broke a leg or something I couldn’t reach help. I would have to survive as best I could until the next day when the boat would come to rescue me. The sky was clouding over and I knew my first task was to find a place to put up the tarp and hang the hammock. I found what I thought was the perfect spot, with two trees close together. With some judicious hacking away of the foliage I soon had my tarp set up. Next item of importance was to get some dry wood for a fire. Driftwood covers the shoreline of Burica and there is plenty of kindling. My first and most important mistake was misjudging the high tidemark. What I didn’t realize was the tides in this area can reach an average of 17 to 18 feet, and higher during full moons. Soon, I had what I thought would be, an all-night beach blaze. I pictured myself cooking beans and sausages by the fire and then reminiscing for hours with a glass of red wine. This had all the makings of being a wonderful, memorable night. It turned out to be memorable all right, but not wonderful. As the light was fading and a slight drizzle started, I thought now would be a good time to explore the island. The other side of the sand bar from where I was camping was the windward side and piles of driftwood and debris had formed. This was not beautiful at all. 95% of the shoreline was covered in plastic waste; drinking water bottles, plastic flip-flops and running shoes – one running shoe looked horribly like it had part of a human foot still inside. It starts to go wrong. The rain intensified and I returned to the camp just as the rising tide dealt me a cruel blow and within a second it put out my fire. Reality kicked in and I wondered how much higher the tide was going to rise. As the rain fell harder I decided to move my camp to a higher point on the beach. 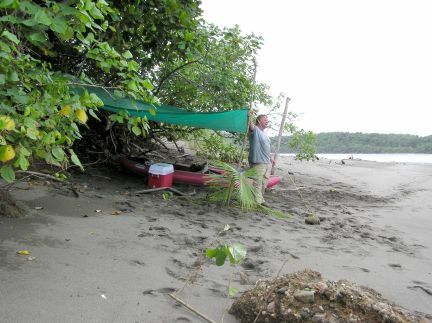 I salvaged some bamboo poles from the driftwood and by 6.45 I had the tarp stretched between four poles. The problem now was that I was directly in the path of the wind. During the repositioning I had become soaked to the skin, the fire was drenched with no possibility of being relit. As the light faded I thought I would finish off the red wine and hunker down for the night. My years in the military had taught me to always bring along some comfort food. Some years ago I was in the British Army and for reasons I won’t go into, ended up parachuting fifty miles into the Libyan desert. Before the operation our wonderful military had given us a special twenty four hour ration pack. It was the size of a tin of sardines and claimed that it contained everything needed to sustain a person for a complete day. In no uncertain terms we were told “Only open in cases of emergency.” Typically, they wouldn’t say “what” it contained, it must have been a military secret or something. Being the maverick then, as I am now, I couldn’t wait to unearth this survival secret. Late, one cold Libyan desert night I opened the tin. Was it full of high tech dehydrated tablets, a fishing kit, something to catch wild animals? No! The content was a single bar of horrible tasting, dark chocolate. The tarp I had set up worked great keeping the rain off me, although it didn’t matter as my trousers, boots and tee shirt were all waterlogged. The wind picked up strength just as the last vestiges of light faded from the sky. I had forgotten that alcohol is a vasodilator, that means it opens the blood vessels and makes you even colder. I tried to stay warm by snuggling down in the kayak but before long I started to shiver violently. The first rules of survival are simple: don’t panic and get out of the wind. There was no alternative, even though the rain was pouring down, I had to break down the tarp roof and wrap it around me like a blanket. I folded the tarp into four and pulled it around me like a small tent. It stopped the wind and I remembered from a few true-life survivor stories to curl up in a fetal position to conserve body heat. Curled up in the kayak with the tarp pulled over me I was at least not getting any colder. Unfortunately the beans and sausages I had eaten earlier were having the expected effect and not only was my shelter cold, wet and miserable it also smelt like a sewer. Oh no! Not a drug dealers submarine? I must have dozed off because the next time I awoke it was 3:30 in the morning. The rain and lightning had subsided a bit so I pulled the tarp back and took stock of my position. In the bay about 200 hundred yards away was something I hadn’t seen before, a long black shape sitting in the water. The overcast sky meant there was no natural light whatever. I wondered was I seeing things. Then the thought struck me, Oh no, this looks like one of those fiberglass drug dealers submarines. Wonderful! I am wet, tired, hyperthermic and now will most probably be murdered by some Colombian or Mexican drug dealers. 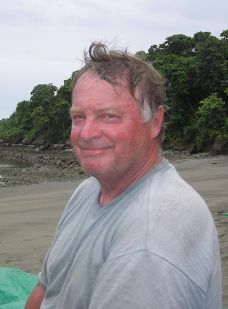 Newspaper reports say there is considerable drug activity between the Panama and Costa Rican borders. The Colombians no longer transport their cocaine to Mexico, they simply drop it off in Panama and the Mexican drug cartels take it from there. I strained both my eyes and ears to hear any sounds like a diesel engine or of hatches being opened. I thought to myself, it’s so dark they can’t possibly see me, but what if they unload on to this beach they are bound to stumble across me. I lay there for an hour, as motionless as my shivering body would allow. Then it became obvious, the submarine was just a rock formation revealed by the low tide. Just after 5:40 in the morning the first few signs of daylight came across the eastern sky. There were some strange pink shaped balls of light that were almost Aurora Borealis in their shape. I grabbed the camera from the dry bag but they quickly disappeared. By 6:30 the sky was warming and so were my spirits. I knew that Jason would be coming by to pick me up around 10:00 so as the warming sun dried my clothes, I ate my last two hard-boiled eggs. Burica Island is about a mile square in size. It has a high point sixty feet above sea level and is mostly palm treed jungle. Having drunk all of my water I downed my last beer and decided I would use this time to see if this island could support life. I did discover several freshwater springs and some coconut trees, so yes, you could live here possibly for years. Fans of the “Lost” TV series will love this. At the back of the beach was a small trail. I didn’t know if this was an animal trail or used by fishermen, so armed with my machete I hacked my way along a well defined path. The ground rose steeply and to my left I could see the rocky shore and beach. Then I saw a small hand painted sign that read, “Faro” (lighthouse). After five minutes of following the trail I came across an almost surreal structure. It was a white, circular steel tower about thirty feet high and 3 feet across. Fans of the TV series “lost” would love this – it had a hatch. 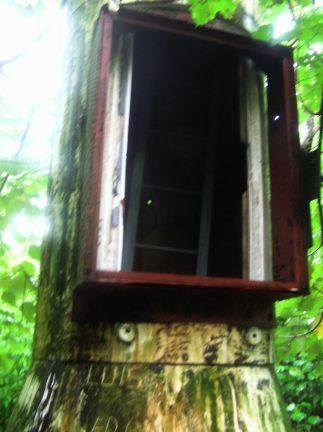 The hatchway was open and there was a steel ladder leading up. At the back of the tower was a white steel box which I took for a now defunct generator. 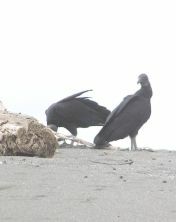 Buoyed by my discovery I returned to the beach to await pick up. The hours passed and there was no boat insight. Midday came and went and I wondered what had happened. As the afternoon wore on I began to suspect that I might have to spend another night on my island. This time I would build my shelter away from the wind and my fire would be safe from the ravages of a rising tide. The island had freshwater, coconuts and I had dry matches for a fire. There is an old saying that what doesn’t kill you makes you stronger. Mentally and physically I had survived the worst night of my life. I had been bowed but never broken. I had been alone on a desert island with just my wits and crazy like a fox mentality. To my list of life accomplishments I could now add the title: survivor. In Volcan’s central park stands a monument to the Chiriqui freedom fighters of 1968. I am sure few VISITORS ever see this 20 foot high obelisk set off the main avenue. It honors the many local men who fought and died opposing the military dictatorship that deposed President Arnulfo Arias. Only a handful of the original fighters remain alive to testify about the bloody events of that time. On Friday May 14th that number decreased even more as their leader passed away. 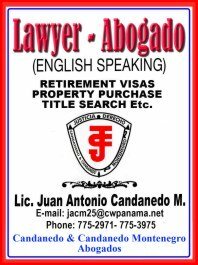 Onofre Quintero was a name unfamiliar to most Panamanians apart from former dictators Omar Torijjos and Manuel Antonio Noriega – they knew him well. In 1968 when they removed President Arnulfo Arias from power, few Panamanians had the courage or desire to oppose the military junta. In the small Chiriqui mountain town of Volcan, a fiercely loyal “Arnulfista“ group, decided that democracy would not be taken away from them without a fight. And fight they did. This improvised group of fighters had no organized backing. For them to take on the heavily armed National Guard was heroic but also foolhardy. There was no possibility of international aid as these were not the usual Marxist insurgents. The men, women and boys who took on the illegal government were about as right wing as it was possible to be. Even that most clandestine of organizations that normally would support a right wing force, the CIA, was firmly supporting their left wing opponents. first battle against the dictator. home of the informer. Matias Morales. The first attack against the National Guard was on the night of October 13th 1968. Armed only with a varied assortment of domestic shotguns and just one 22 caliber pistol. The plan was highly ambitious. Onofre, as leader of one of three insurgent groups planned to take over the entire town of Volcan. First target was the house of a known informer Matias Morales. A guard jeep was stopped at Morales’s house apparently obtaining information. As this first vehicle pulled away a second jeep pulled up right in front of where Onofre’s men were waiting. The two groups exchanged gunfire at point blank range. This ragtag bunch of fighters put up such a withering amount of fire that the two Guard vehicles, hightailed it back to downtown Volcan. In this first battle there were many injuries, but incredibly not one death. Onofre’s group continued firing as they chased the soldiers and the two vehicles. First blood went to the freedom fighters, partly because of the element of surprise and partly because of their total lack of awareness of the dangers involved. A few minutes later the National Guard arrived with a ten wheeled truck and reinforcements. Discretion being the better part of valor, Onofre and his men withdrew to the safety of the house of Monte Fulleton. As Napoleon so correctly stated “An army marches on its stomach.” There were four insurgent groups in the Volcan area fighting against the government. Located in the Bambito area was a separate group. Eventually they had to give up. Lack of enough weapons and most importantly food, brought them to accept an amnesty from the government. Onofre’s group had to rely solely on friends such as Alois Hartmann and others to supply them with food and weapons. Their second battle was on the morning of November 30th 1968 against a patrol of the elite “Pumas” at Piedra Candela, right on the Costa Rican Border. This time they were bolstered by some newly received black market weapons. The third and most successful battle was on January 9th 1969 against the same elite Puma battalion at the cuartel at Piedra Candela. With the use of a newly acquired Thompson machine gun and some Molotov cocktails, they fought the Pumas for almost an hour. They were later told that they had killed 21 members of the National Guard. They had their losses as well. One of their members charged the Cuartel at Piedra Candela and was mown down in a hail of gunfire. His bullet riddled corpse was photographed and copies were dropped by plane with the grim message: “This is how guerillas die.” When searching the house of one of their non-combatant supporters, Mojica Flores Cruz, they found him dead in a shallow grave. The National Guard had fired so many bullets into his head that his face was unrecognizable. Eventually Onofre and his men realized that they could never win this uneven one-sided war. 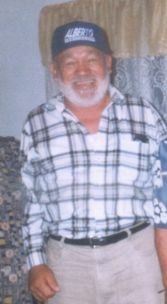 He and some of his men took the offer of sanctuary in Honduras. On October 31st 1970 they accepted an amnesty from Omar Torijjos and returned to Panama. Onofre gave his word that he would not engage in any subversive activity if allowed to return to his old job in Chiriqui. He was a man of his word. His employer Andie Fink said that Onofre was one of the most honest and hard workingmen he had ever employed. 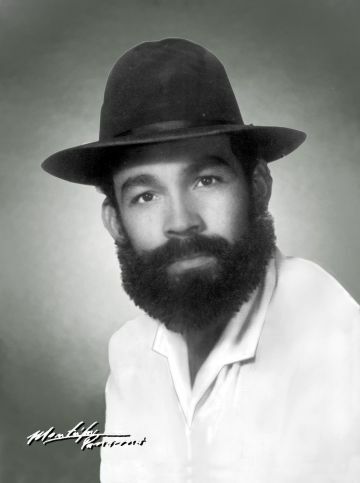 Onofre Quintero; a hard drinking, hard fighting mountain man once said that he feared no man – the only person did he fear was God. If you are a VISITOR to Volcan, take time to visit the memorial one block behind the Romero Supermarket. It was constructed with stone, tile, concrete and with the memory of lots of innocent blood. 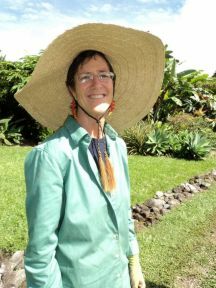 Carla Black has lived and gardened in the Volcan area for the past eight years. Her specialty is heliconias. 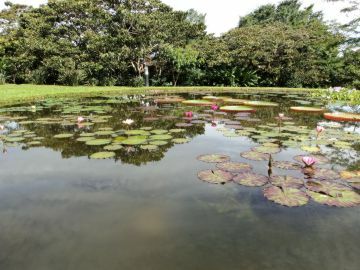 Her 3 hectare garden is a true tropical paradise with gentle sloping walkways and large ornate ponds. 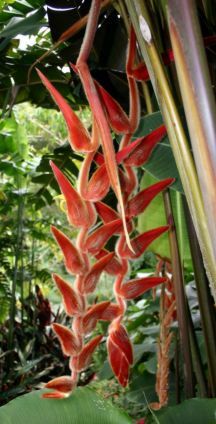 For the past two years Carla has held a Heliconia sale. Her first garden sale sold out so quickly that she decided this year to more than double plants available. 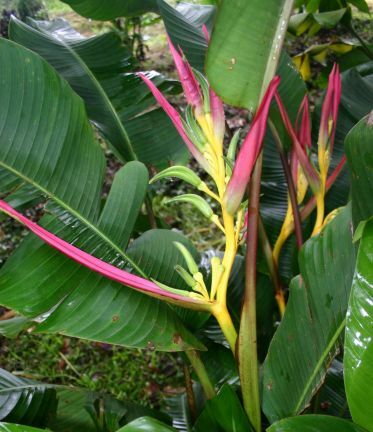 Perhaps if we could coin the phrase “Grow a better heliconia and people will beat a path to your doorstep,” might explain why even now, demand again exceeded supply. Despite her increased production this year’s sale exceeded her expectations. 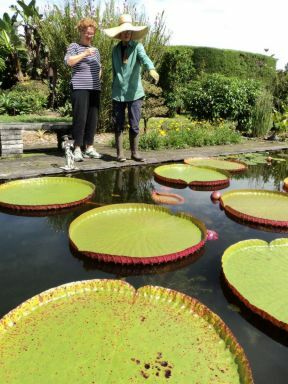 Four hundred visitors had come in the first few hours and by midday on Saturday –the first day of a two-day sale – most plants were on their way to gardens in Volcan, David and Boquete. I asked Carla how she felt about this year’s garden sale and with a big smile she said,” Wild success.” I arrived on Sunday morning and strolled the manicured lawns and walkways. The sun was shining in a typical blue sky, white puffy cloud, Volcan Summer’s morning. There was a steady stream of visitors from the other side of the mountain. I am sure they were jealous of the beautiful view we have of the Baru Volcano. 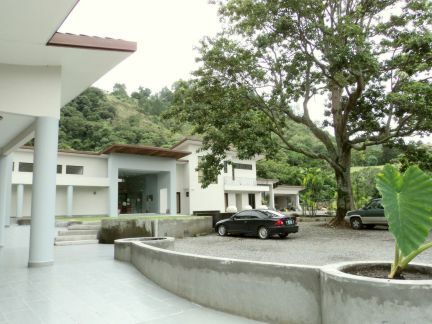 Carla’s’ garden has been a work in progress for over eight years since she converted some former diary cowsheds into one of the most beautiful gardens in Chiriqui. The first question I asked Carla was how did this all start.? She explains that at first she just wanted to have a better view from her kitchen window. 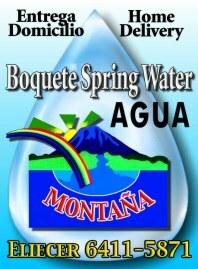 Today, her house to the west of the town of Volcan, is the best place to wash dishes in all of Panama. The only drawback I found with this year’s sale was the lack of parking. 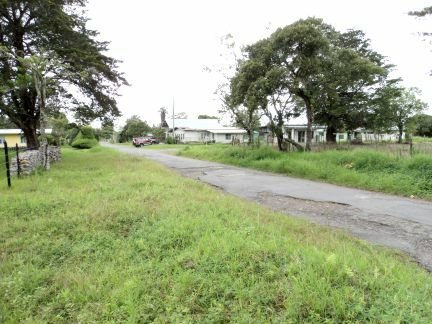 Patrons now have to park in a small field on the Volcan-Caizan road and walk the half mile to the garden. Fortunately Carla had helpers with wheelbarrows to carry the clients plants back to the car. I was hoping that Carla would have an open house for her garden at other times in the year. It is a shame that this beauty is only on display two days a year. It is under consideration. Resolving the parking problem could make this possible, but that will not happen in the immediate future. Heart Disease and High Blood Pressure – are not an inevitable part of getting older High blood pressure (hypertension) is the most common chronic condition in developed countries today and a major risk factor for heart attack and kidney disease. Researchers have identified several culprits that are responsible for its dramatic rise, one they mentioned has had meteoric use in manufactured food and drinks. It is being reported as fructose. I should stop you there from thinking this means fruit, CERTAINLY NOT. Let me explain that they are talking about the mountains of HFCS that is used today in thousands and thousands of processed products. What is it? High Fructose Corn Syrup is a highly addictive simple sugar that is cheaper than sugar (sucrose) and keeps baked products fresher for longer! It’s hard to avoid if you drink soft drinks (sodas), consume commercial fruit juices, eat commercial baked goods, commercial breakfast cereals or eat candy and much more. As we all know HFCS is not the only contributor to this potentially dangerous disease, there are many other dietary habits that contribute to this chronic condition. Like too much processed fats (found in so many foods), not enough fiber, too much salt or salty foods, lack of certain nutrients, too many white flour products and more. On Monday of this week Elvis did indeed drop by the offices of YourPanama.com. 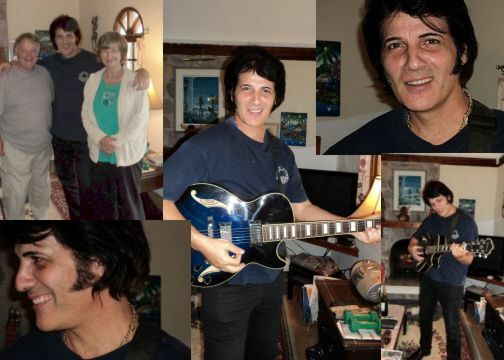 Elvis, or as he is known by his tribute name, Dean Vegas comes from Australia. He MAY move to Panama. I listened to his self-penned CD disc of songs and the man has talent and sounds just like the lad from Memphis. So if Elvis choses Panama perhaps even Ringo Starr (now he's 70) might decide this is the retirement destination for him. Imagine the music festivals we could have? 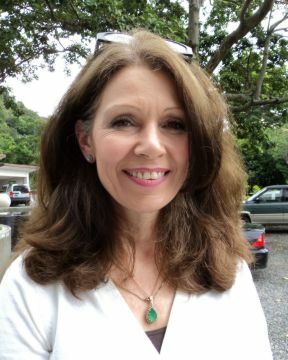 If you enjoyed these articles from THE CHIRIQUI LIBRE you can sign up for a FREE monthly newsletter called "Panama Nuggets." Which includes all the articles from this news magazine. Just go to the NEWSLETTER box on our homepage and sign in. We promise we will NOT sell your email address to ANYONE.